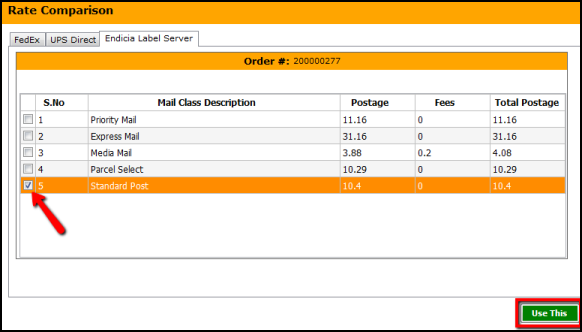 If you are generating shipping labels with UPS Direct, Endicia Label Server, FedEx and Stamps.com, shipping rates can be compared so you can choose the most cost effective shipping rate. 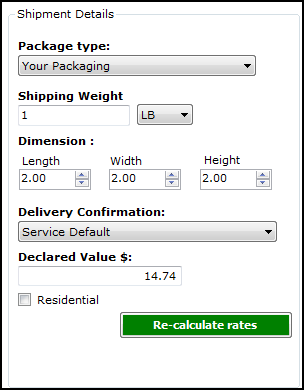 Shipping rates can be compared within the Shipping Module. Clicking on the Compare Rates button opens up the rate comparison table. 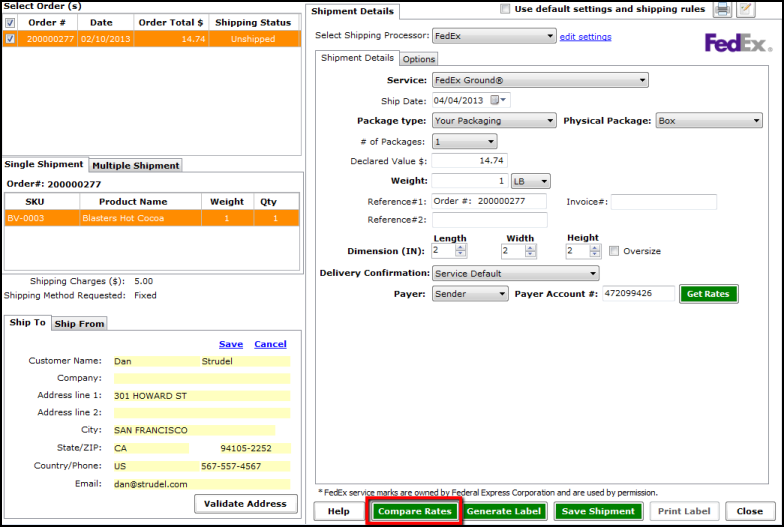 Toggle between the shipping processors and choose the shipping rate. The parameters can be adjusted and the rates can be recalculated. 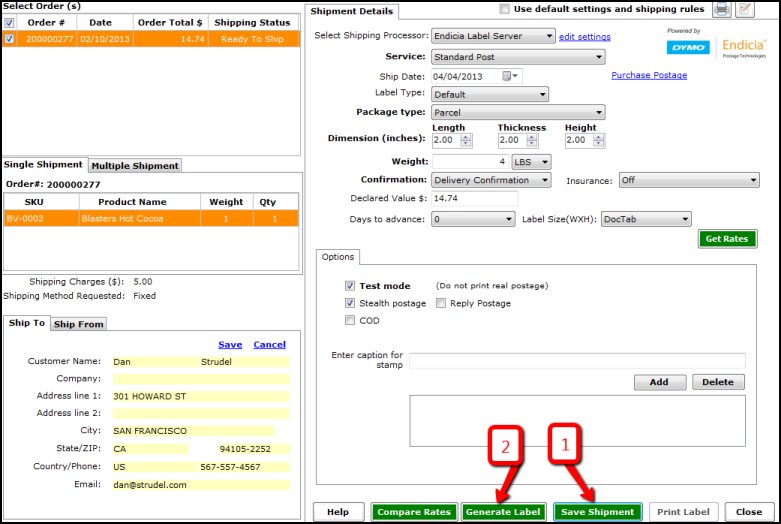 When you have chosen a shipping rate, select the box next to the rate and click the Use This button. 1. Click Save Shipment and move on to the next shipment. 2. If this is a single shipment click Save Shipment then the Generate Label button to print a shipping label for the current shipment.